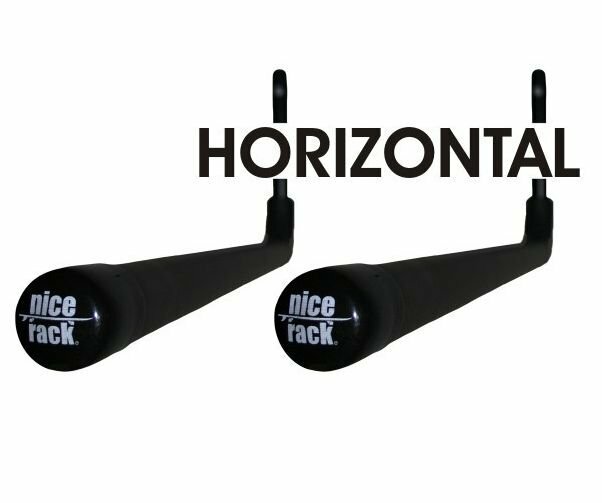 The Nice Rack SUP Surfboard Horizontal Wall Rack is super strong. These HEAVY DUTY racks are built to support extra large SUP surfboards and longboards, Equiped with quality nitrile foam for soft cushioning and powder-coated for moisture protection, these racks are durable and weather resistant. Perfect for indoor/outdoor use. Sold in pairs.